Mike Ashley's Sports Direct empire is coming under fire for its policy of putting part-time employees on zero-hours contracts. The company uses the policy, which offers workers no set shifts in their contract, for 90 percent of its workforce, minimising its obligations to pay for sick leave or holidays and keeping wages at rock-bottom levels. 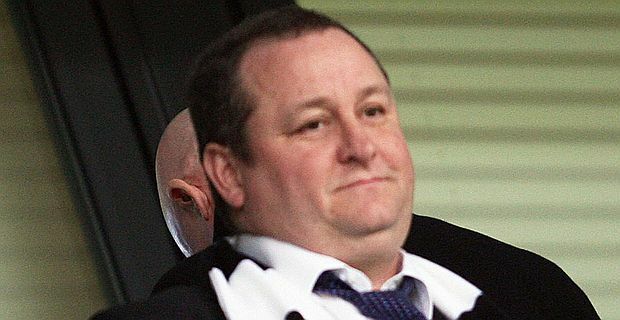 Ashley, already one of the most unpopular businessmen in the UK since his takeover of Newcastle Football Club and his decisions to change the name of the ground and take on payday loans company Wonga as a sponsor, faces further ignominy as his business practices become clear. While there was widespread outrage at the revelations that Sports Direct made such extensive use of the zero-hours policy, the Unite union took a conciliatory approach. Unite official Annmarie Kilcline asked for a meeting with Ashley. "We hope Mike Ashley will sit down with Unite to discuss how the treatment of workers at Sports Direct can be improved," she said, "after they have made the business such a success." Pressure Group 38 Degrees called on Sports Direct to offer fixed-hours contracts, and Twitter campaigners have called for a consumer boycott of the company. The notoriously intransigent Ashley is unlikely to be affected by the complaints, nor by the weak criticism from business secretary Vince Cable. Cable said: "There has been anecdotal evidence of abuse by certain employers – including in the public sector – of some vulnerable workers at the margins of the labour market." Cable, in his coalition minister role, struggled to marry the very different Conservative and LibDem employment policies. "While it's important our workforce remains flexible, it is equally important that it is treated fairly," he said. He added that he has asked some officials to look at the issue. It's hardly an action likely to set Ashley, and other employers who exploit the policy, to start trembling in their boots.